A standard for audio/video cables and connectors. HDMI carries video and audio over a single cable. It supports high-definition (HD) video and multi-channel audio (surround sound.) It carries an all-digital signal, ensuring high quality. It also supports DRM, to prevent copyrighted content form being copied illegally. Standard HDMI cables are commonly used to connect HD video sources (such as cable boxes, satellite boxes, and Blu-Ray disc players) to an HD television. Some phones have a Mini-HDMI (Type C) or Micro-HDMI (Type D) connector to allow the phone to be connected directly to a television, so that video content on the phone can be played back on a full-size television screen. 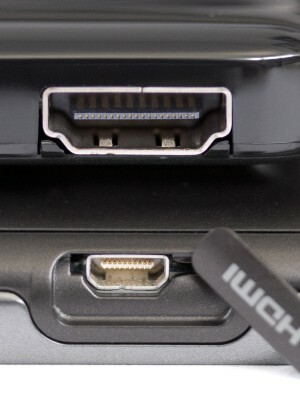 This requires an HDMI cable with a Mini- or Micro-HDMI connector on one end and a full-size (Type A) HDMI connector on the other end.